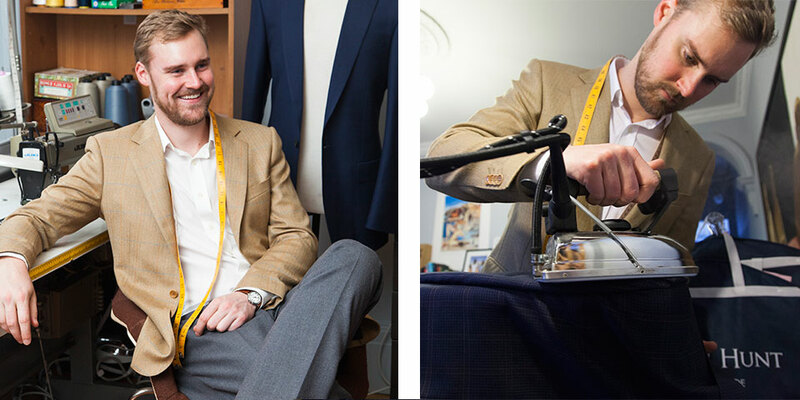 With his extensive training and years of bespoke tailoring experience, Oscar has been the technical mind behind the creation of every Oscar Hunt suit. Oscar oversees each stage of construction from initial fitting, to hand finishings to the final pressing. "We can produce something that is as close as bespoke and handmade but with less cost and more efficiency, but retaining the same amount of style and quality"
It is the finer points and subtle details that make the difference in a well tailored suit. It is Oscar's eye for these details and his pursuit of perfection that makes the Oscar Hunt experience so unique. Oscar is responsible for the training of the fitters as well as the tailoring team who carry out the finishings and in-house adjustments.